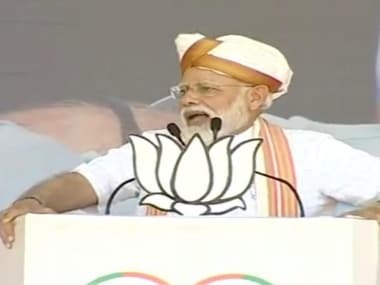 Ausa: Prime Minister Narendra Modi Tuesday slammed the Congress for 'taking away' Shiv Sena founder Bal Thackeray's voting rights over two decades ago. Thackeray was banned from exercising his franchise in the late nineties for six years after he was found indulging in "corrupt practice by seeking votes in the name of religion" at a public rally. 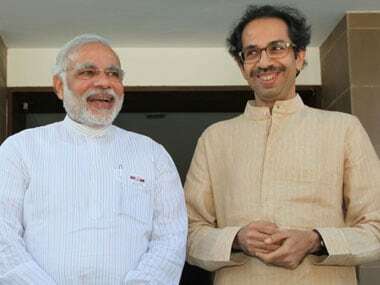 Modi referred to Uddhav Thackeray, son of late Bal Thackeray, as his "younger brother". He also lauded the Shiv Sena founder for not occupying the chief minister's post and not propping Uddhav in that post either. Parties like the Congress who encourage dynastic rule should learn from Balasahab (on this aspect), he said. 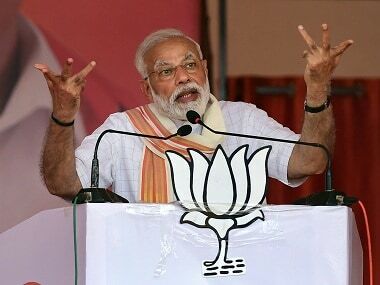 "It was the Congress which took away Balasaheb Thackeray's citizenship (voting) rights," he said. Bal Thackeray had voted in 2004, after a gap of eight years. The ban period had expired in December 2001. Thackeray, in an election campaign meeting for Sena candidate Ramesh Prabhu, had allegedly sought votes from the people in the name of religion. Prabhu had contested state Assembly polls from Santacruz against Prabhakar Kunte of Congress. 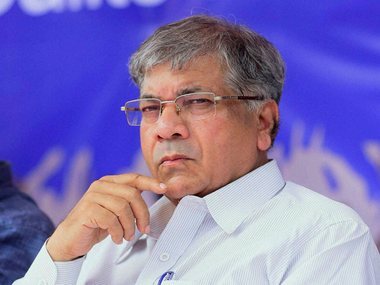 Kunte, who lost the Assembly seat, had filed an election petition in Bombay High Court which set aside Prabhu's election on the ground that Thackeray had sought votes on religious issues and thereby committed corrupt practice under provisions of Representation of People's Act. Prabhu filed an appeal in the Supreme Court which upheld the High Court judgement and ordered the Election Commission to ban Thackeray for six years from casting vote. The Shiv Sena founder had cast his in suburban Bandra in 2004 for the Lok Sabha polls in Maharashtra, for the first time since the ban.